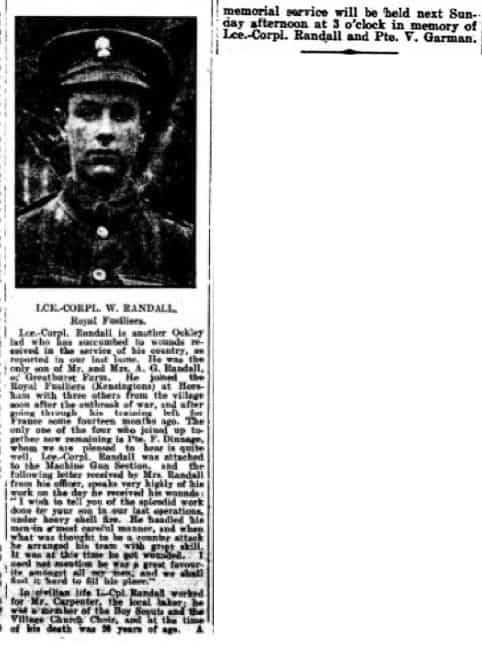 William Randall was baptised in Ockley on November 22nd 1896, the second of three children of Arthur Randall, a farm labourer and his wife Emma (nee Overington). The family lived at Hale Cottage in Oakwood Hill and then Great House Farm (Eversheds) in Ockley. 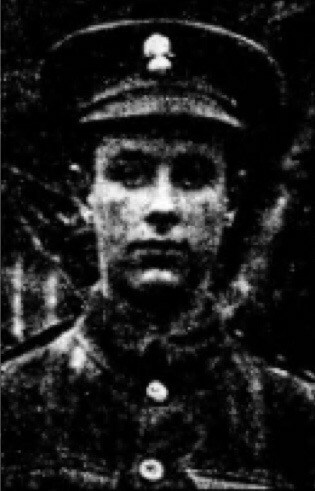 In January 1915, William and other friends, (two of who, Philip Leppard and Thomas Banfield also died) from Ockley enlisted in the Royal Fusiliers at Horsham. William was later assigned to the 99th Machine Gun Corps. He died from wounds in hospital at Boulogne on 5th December 1916.